Nagaon and Guwahati are the main centres of embroidery in Assam. 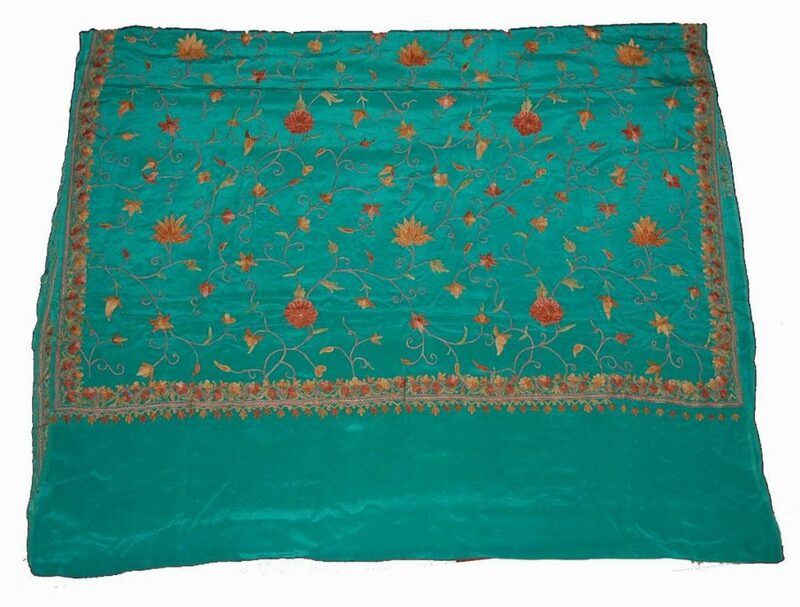 Use of varied stitches with sequin and beads has helped popularized the prevalent embroidery styles- Ari and net embroidery are particularly famous in the region. Ari embroidery from Assam is further demanded internationally in Nigeria where the embroidered textiles are used for ceremonial occasions. Net embroidery, locally known as jaali work is mostly done in geometric or floral designs – flowers and creepers, further adorned with buttonhole stitch. The embroidery designs also include the use of round shaped mirrors combined with stem and herringbone, amongst others. Apart from yardage used for garments, the final embroidered products are also used extensively in home furnishings from curtains to bedspreads and runners. 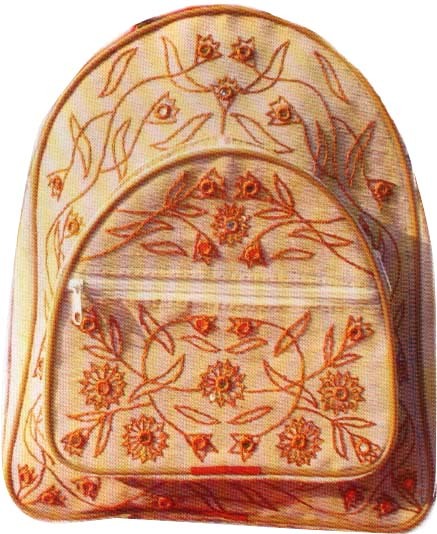 Other embroidery techniques used include cross stitch, crewel work and quilting. The raw materials in the making process includes needles, silken thread, sequin and beads. Wooden frames are used to flatten and secure the sides of the fabric to lay flat for the artisan to embroider the fabric. The process starts with tracing the design/motifs on the chosen fabric. The design is first made on a tracing paper, also known as a khakha, where small holes are punched on the outline of the motifs. This is done to transfer the design onto the fabric. As the tracing paper is placed on the fabric, a liquid marking mixer is applied and through the holes, the liquid seeps in and thus, creates a design marking on the fabric. The fabric is now mounted on a wooden frame so the fabric remains tight and sturdy during the embroidery process. 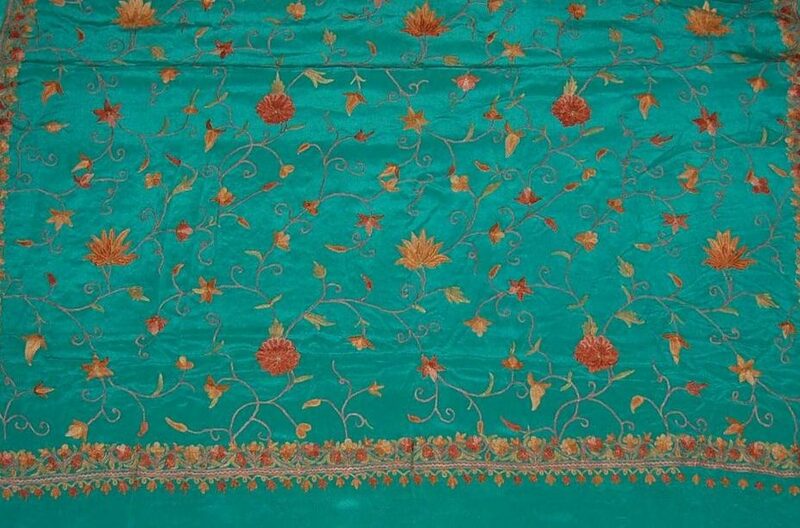 Motifs are now embroidered onto the fabric with silken thread and needle. Various stitches and trimmings are used to further ornament the base fabric.